Let customers pre-order products in your Magento 2 store. The “Buy Now” button is replaced with “Pre-Order”. 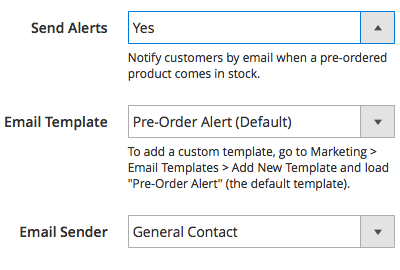 Easily manage pre-orders in the admin panel and notify customers when their products arrive. 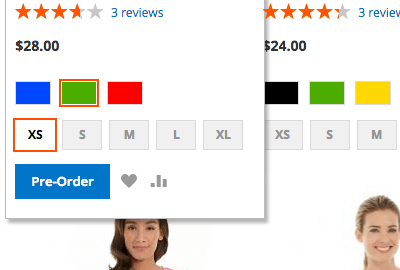 Let customers pre-order products in your Magento 2 store. Sell out-of-stock items as pre-orders. Notify buyers when their goods arrive. Enabling the ability to pre-order, merchants can receive proceeds from sale even before a product hits the market. This revenue will come in handy for covering current expenses related to the product launch and shipment. Continuously changing, customer expectations are very hard to predict. However, the extension provides a great opportunity to get an idea of the potential demand in a new product and so estimate the required supply. This allows to optimize inventory and warehouse costs, allowing to maintain the optimal inventory levels during the product lifecycle. A new product release can become a great opportunity for retailers to create additional buzz around a company. Customers will not miss a chance to get a flagman product first and so they will be very likely to place an order at your store. Sell forthcoming items as Pre-Orders. Specify when the item is expected. Email customers when their pre-ordered goods arrive. Prevent shoppers from mixing pre-orders and regular items in cart. Sort and filter Orders by “Pending / Processing Pre-Order” on the grid. Allow customers to pre-order out-of-stock items. Let customers continue pre-ordering goods even when the Qty goes below zero. Use separate email templates for “New Order” notifications. Use separate email templates for “New Invoice” notifications. Mark up pre-ordered products in orders and invoices. An order is Pending/Processing if it has both pre-ordered & regular items (unless the settings command otherwise). 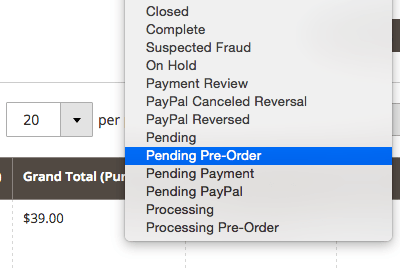 An order changes to Pending/Processing Pre-Order when the regular items are shipped. Regular purchases proceed as usual; a pre-ordered item is shipped when the stock status changes to Available. Works with simple, configurable, virtual, bundle, grouped and downloadable products. Receive payment for pre-ordered goods as usual. Magento Pre-order & Backorder extension. Magento 2 Order Number Prefix – Assign unique IDs for your sales documents, including orders, invoices, shipping documents and credit memos, to make your order data management process more accurate and effective. + Added compatibility with Magento Open Source 2.2. * Fixed an issue with pre-orders for out-of-stock configurable products. * Fixed the issue with incorrect order status changing. * Fixed the issue with Subscribe button replaced with Add to Cart. * Extension is compatible with Magento 2.1. I love that my sales are not interrupted by out of stock anymore. My customers don't even need to know that the item is temporarily not available - I restock quickly. The shop does not lose sales now, and I'm very happy about that. I love the ability to set my custom pre-order message. This allows me to easily tell my customers when to expect new arrival. Not only they pre-order hot selling goods, but they can also see how long it is going to take. Great ext! It helps me with out of stock items. I don't want my customers be stopped by out of stock sign, I want them buy anytime. 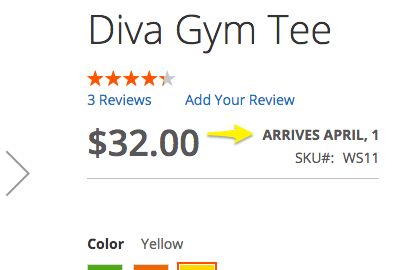 So this extension comes helpful, customers don't even know that the item is out of stock. Convenient! Setup is not very easy though, Aitoc support helped me with this. This extension helps us stand out from our competitors, as now our store can accept orders for any items. We never lose customers just because some seasonal or trending products are sold out. 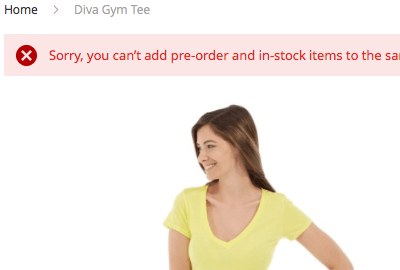 If an item is out of stock, we simply sell it as a pre-order product. What we especially like about this module is that it allows us to leave messages on product pages and send custom email notifications to buyers once their orders are available. Great product however, if a product has "pre order for out of stock products" and you sell that last one - it doesn't allow you to ship. This made it pretty much unusable for us, aside from that, it was perfect!